One of the last major races that for the "Black Beast" was the Inaugural Indy 500 Race held on May 30, 1911. 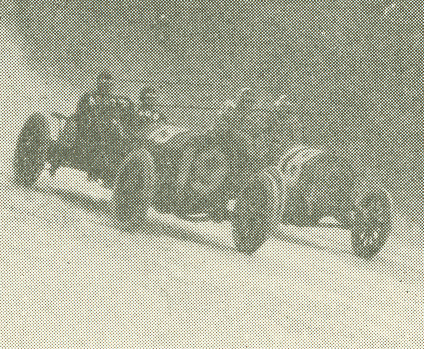 As published in the June 3, 1911 issue of Automobile Topics, this photo shows the #19 Alco-6 Racer taking the brick curve during the parade lap. Shown with the Alco driven by Harry Grant were; the #18 Fiat driven by Eddie Hearne, the #20 National driven by Charlie Merz and the #21 National driven by Howdy Wilcox. A closer look of the photo even shows driver Harry Grant and mechanician Frank Lee wearing their "Alco" sweaters. The "Black Beast" briefly appears in this rare film of the 1911 Indy 500 Race.